What many people also did not know was that majority of the air fresheners and plug-ins contains some chemicals that are not health friendly. Majority of these sprays contain carcinogens, which affect reproductive development and aggravate asthma. Further testing also revealed that many of the air fresheners contain hormone-disrupting chemicals that are not good for young children and babies. Almost all the products come marked safe to use and all natural which makes it even more difficult to tell whether they are safe or not. However, in the past recent years, a better alternative to air sprays and plug-ins came into the market. Essential oil diffusers are the best alternative to air freshener sprays because they not only smell good, but they contain no harmful chemicals that would affect your health or that of a child. They also come with immense health benefits and they purify the air around the home. Choosing the right essential oil diffusers for your home may be a daunting task considering there are many types in the market. We have however made it easier for you by selecting some of our best essential oil diffuser picks. 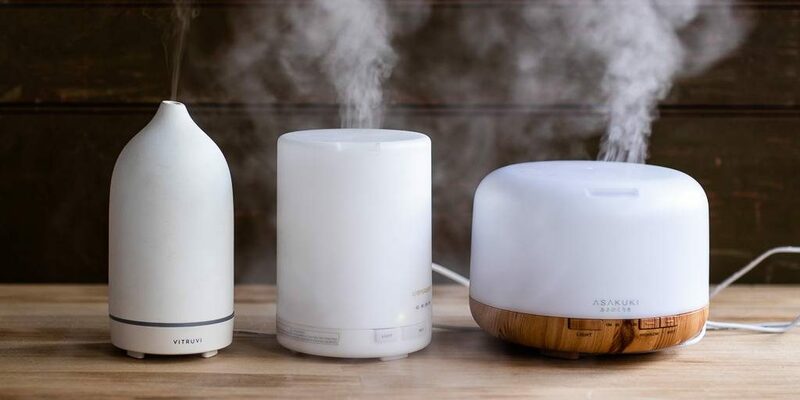 Before we go to our pick of the best essential oil diffuser, it is only fair to understand what essential oil diffusers are. 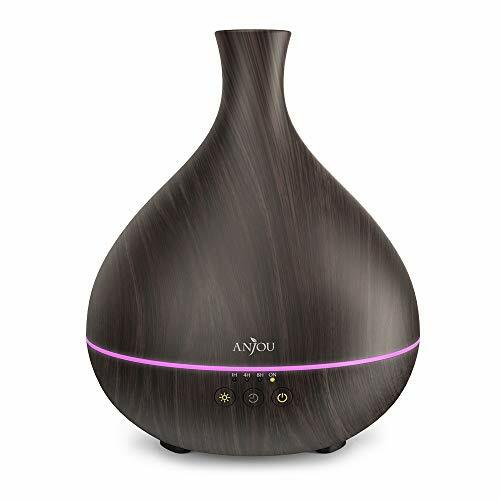 Also known as, aromatherapy oil diffusers, essential oil diffusers are a means of emitting essential oils that have aromatherapy effects into the air for health, wellness and great aroma. The essential oils, broken into micro-molecules entre the respiratory systems to the bloodstream through inhalation which in return gives positive effects to the mind, body and the mood. One of the things that make this diffuser stand out is its attractive contemporary modern design. You can place it in your living room and besides the benefits of the essential oils, it will also add colour to the room. Made from light wood grain, the diffuser will easily match with some of the furniture in the room. It becomes even more colourful because of its amazing light source. It is small and does not take too much room and it holds up to 300ml of water that emits a misty output. The diffuser can run for 10 hours nonstop. Besides the plastic wood grain colour material, the other materials that go into the making of the diffuser are Polycarbonates, Acrylonitrile Butadiene Styrene (ABS) and Polypropylene (PP). It is durable, does not shatter and it is not BPA-free. It bears an egg shape with a design and a wood grain finish that goes well with all types of décor. Due to ultrasonic technology that goes into making the diffuser, it is extremely quiet. The diffuser comes with four time setting modes, which are 1 hr., 3 hrs. 6 hrs., and a steady on time mode. It also comes with adjustable LED light that allows you to choose from seven different colours. 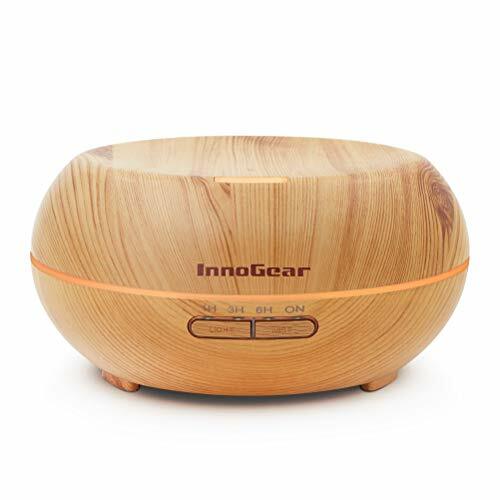 InnoGear is another attractive ultrasonic oil diffuser that holds up to 150ml of water. The diffuser lasts up to 5 hours on a continuous mode and for 12 hours on intermittent mode. When on intermittent mode, the diffuser emits mist for 30 seconds, pauses for another 30 seconds and this goes on for 12 hours. The device automatically shuts itself off when the water runs out. The diffuser is lightweight made from BPA-fee plastic and it comes with seven-colour LED lights. It is very quiet and does not produce any noise even when you use the switches. Even when the water runs out, the device does not make any warning sounds, which makes it a perfect diffuser to use while you are asleep. It is easily portable and just as easy to clean and maintain. If you have kids and pets, the device is the perfect one to use as it is compact, does not break or shatter and the lid is at the base of the device. It does not have any spills and the only major downside is that it does not have a mist or light only function. This may not go too well with those that love to sleep with some light on. Other than this, it is a great and beautiful device to add colour and the aroma of essential oils to any room. The URPOWER Aromatherapy Essential Oil Diffuser uses advanced ultrasonic diffusing technology to produced very high vibrations amounting to a frequency of 2.4 million times per second. With 3-in-1 functions, the diffuser is one of the best in the market. The three functions are humidifier, night light provision and aromatherapy diffuser. The vibrations break water and essential oils into very fine micro-particles without using any heat, which destroys the properties of essential oils. This allows the body to absorb the full benefits of the essential oils. The diffuser hols a capacity of up to 500ml of water and it runs for 10 hours without any fill up. The diffuser automatically shuts itself down when there is no water. It also comes with the option of controlling the mist button by choosing the timer to run for 60 mins, 120 mins or 180 mins. If you do not what to control the timer, you can just leave the diffuser ON. The mist from the diffuser helps to improve breathing, the immune system, stress and it acts as a stress reliever. The moisture in the room helps to clear sinus irritation, dry coughs and dry skin effects. 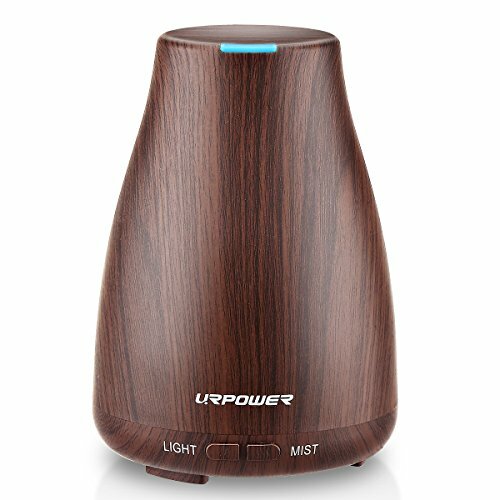 The URPOWER has many different versions of essential oil diffusers and this is one of the most recent ones. It is an upgrade from the previous versions and comes with more scent and mist. The diffuser can sit well in any room at home, in either the office or even a hotel room. Made from PP. hard plastic material, the diffuser is strong and can withstand every kind of impact without breaking or shattering. It is non-toxic and comes with 5 in 1 operations. 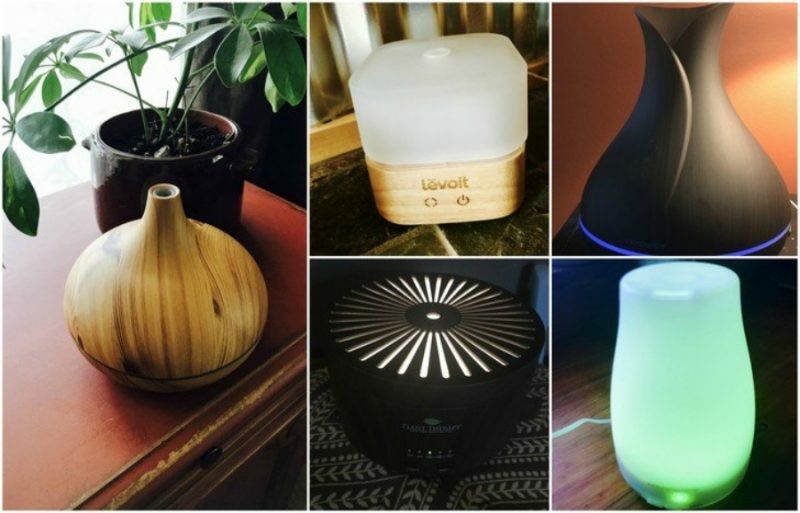 The diffuser serves as a night light, an aromatherapy diffuser, an air purifier, a humidifier and an ionizer. It holds up to 100 ml of water and can run for six hrs. It automatically shuts itself off when the water runs out. It has seven amazing colour changing lamps with two adjustable mist settings. The lights are yellow, green, red, blue, orange, purple, and white. Besides the seven colours, it also has a programmable nightlight and a teal. The diffuser runs at a noise level of less than 35 dB, which makes it whisper-quiet. The diffuser has a beautiful Japanese design and it will look attractive in whichever place you place it. The different light colours add charm and beauty to any room and you can use it as a light on your desk or as a bedroom night light. It is also lightweight and small and you can carry it with you everywhere. Besides the lights, the device also helps to clean the environment by removing dust, pollution and allergens. This small portable essential oil diffuser is battery and USB powered. It is white in colour and with a beautiful design. The diffuser is so small that it can fit into the palms of your hands. The device includes three micro finer absorbing pads, which is easily replaceable if you want to change your fragrances. The unit also includes a fan, which projects the scents of the fragrances of the essential oils. When you plug the device into the USB, a blue LED light comes on. You can also use the device as a wireless diffuser but you need two AA batteries that are not inclusive with the device. If you are travelling, this device comes in very handy because you can settle down anywhere to enjoy the wellness of your essential oils. What is even better is that the device is quiet and so will not disturb anyone sitting next to you. If you are looking for the best diffuser to lift up your spits, of course depending on the essential oils you use, then Lull by QUOOZ will do it for you. The device is one of the most advanced diffusers in the market and has very effective methods of disusing essential oils. It uses the latest ultrasonic technology to give out the beast fragrances and wellness. Lull is a safe diffuser that uses very little heat and is one of the best alternatives to scented candles and air fresheners. It is also very easy to use because all you do is fill the diffuser up with tap water, add your favourite essential oil and before you know it, the whole room will fill up with the goodness of the oils. The device emits cool mist while at the same time it moisturises the air around the room. If you have a cold, sinus, flu or a dry cough, then this is the best diffuser to use for relief. The device also comes with an easy to control soothing light that you can either turn off completely or turn to your preference. You can also turn the light into a breathing mode where it fades and brightens up again at intervals. This fading from bright to dim simulates your breathing, which is also very therapeutic and relaxing. When the water runs low, the deice switches itself off automatically. It can operate nonstop for eight to ten hours and it is easy to clean and maintain. It has a beautiful compact design and it will fit in any place brightening up the place while at the same time emitting wonderful fragrances lull diffuser also comes with an adapter and a user manual. You can enjoy the fragrances from your essential oils while enjoying the decorative nature of the Ivenf Ceramic tea burner. The impact amazing design of the burner goes well with most rooms in the house including the outdoors like the patio, balcony, garden and porch. It is handmade and makes the perfect décor for every home. The aroma from the oil burner revitalises both the mind and body and creates a refreshing atmosphere for everyone. The material is white ceramic with a floral design that allows light to go through the device. It is easy to use as all you do is pour a spoon of water with about five to ten drops of your preferred essential oil and heat the mixture up with a candle placed at the base. The fragrance spreads throughout the room and the light from the device seeps out through the holes casting beautiful patterns on the wall. 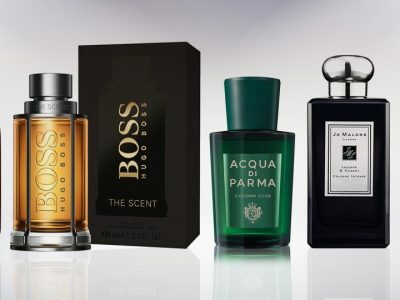 How would it feel to walk around the whole day with your favourite fragrances seeping out from around your neck? 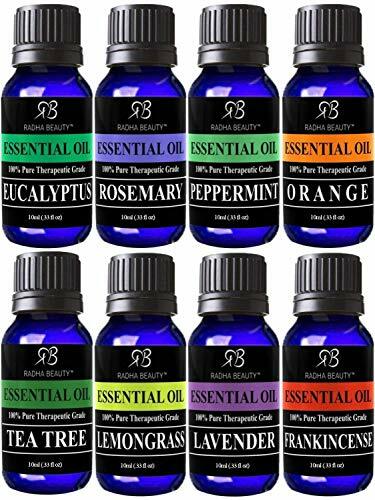 The ultimate essential oil aromatherapy necklace will offer you that and more. This hypoallergenic elegant necklace comes with a beautiful pendant where you can put your essential oils and enjoy the fragrance all day long. All you need is just a drip of your preferred oil and you are good to go. The aroma does not go away after just a day but it stays on for a few more days. The necklace comes with six pads all with different colours that you can change if you so wish, the pads are easy to wash and you can use one for as long as you want. The pendant has a teardrop shape with a laser cut design. Once you put your necklace around the neck, you cannot feel the pads inside the pendant. No one will even tell you are wearing a diffuser until you tell them because it looks like just any other necklace, only more elegant. Be original and classy while at the same time enjoying the benefits of your essential oil with this beautiful locket. If you are looking for the best gift to give a loved one, then this aroma diffuser will do just fine. It is a very quiet diffuser until you turn it on. The diffuser comes with many benefits and unlike candles, it does not emit any smoke once you put your essential oils into it emits a cool mist which is safe and healthy for both the adults and children. The diffuser uses the latest ultrasonic technology to give maximum vapour dispersal. You can use the device in both large and small rooms. Other features of the diffuser are LED lights, a timer and an auto shut when the device runs empty. It holds up to 150ml of water and runs up to four and half hours. It also comes with optional one to three hour timer settings. You also get the option to choose from seven different colours that are all soothing and great for meditation. You can also use the diffuser as a night light in the bedroom. The diffuser comes with a 12-month warranty and money back guarantee. Every home deserves a fragrant and soothing atmosphere. You can get this, along with relief from stress and a mood lift from the therapeutic fragrances of essential oils. To get the best out of your essential oils, use the amazing ASAKUKI 5-in-1 500 ml premium essential diffuser. This diffuser is superior compared to many of other diffuser in the market because of its array of functions and modes. It has an easy to clean 500ml water tank and two levels of mist function control. It is extremely quiet and comes with beautiful 7 different LED colours. It has continuous and three timers, you can choose to leave the diffuser ON or control the timer to 60, 120 or 180 minutes. The different colour functions give you light, dark and light only features. It has a humidifier function and when there is no water in the tank, the diffuser turns itself off automatically. Choosing the best diffuser is not a very easy task because there are many different types in the market. The most everyone wants from a diffuser is the scent of the fragrances from the essential oils and the healthy feeling that comes with the oils. You need a diffuser that will not only deliver this wellness but one that you will look at and appreciate the beauty. 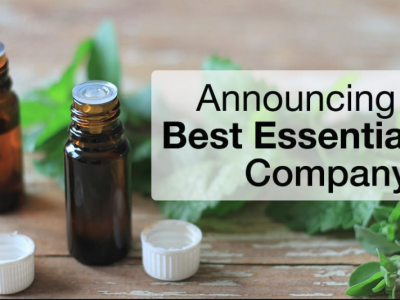 Below are a few guidelines to help you in choosing the best essential oil diffuser. For many homes, a diffuser is one of the most central items in the living room. For this reason, make sure you choose one that looks attractive and goes well with the furniture in the room. Luckily, for you, majority of the essential oil diffusers have amazing designs. Having a portable unit is very important because you may want to move around with your diffuser. If you do not have the ability to put a diffuser in every room, then make sure you get a portable light one. Many people have kids and pets and they too love the aromas of the essential oil fragrances. They may even want to play with the diffusers. Make sure whatever diffuser you get is sturdy and will not break easily. Moving from room to room with your diffuser may also cause some minor accidents to it, so make sure you get the right one. Running a diffuser on a non-stop continuous basis can be tiring. Look for a diffuser that you can control the timing and if possible get one that automatically shuts itself down when the water runs out. This will also save you power and costs. Make sure you get a diffuser that is worth what you are paying for. Check all the features, compare prizes, and check for warranty and money back guarantee. You need a diffuser that will give you a long and quality service because in the end, you will save money on oils. All the essential oil diffusers mentioned above are available from Amazon at very affordable prices. Do not forget to click on the prizes to find out how much they are going for. Also buying from Amazon ensures you that what you are getting is the original product. It will not hurt to read various reviews about the products before you make the decision to buy. All the products mentioned above have reviews from users and you can read them all from Amazon. If you feel that the product of your choice has many negative reviews, then jump to the next one. By using a good quality essential oil diffuser and the right essential oils, you get the full value of aromatherapy. With a good diffuser, you can also create the best atmosphere to relax, study meditate, sleep or even have some lovely time with a loved one. Besides the great aromas, quality essential oils diffused and emitted to the air also help to curb some illnesses and chemical imbalances. Essential oils can change your mood and improve the environment around you. We have given you some of our best picks and we hope you will buy them. If you enjoyed reading this article, find more of our other articles touching on topics like the best perfumes for women, best vitamin c serum and many others.